There is just something about ice cream that can lift moods, bring people together, and get adults to think about happy childhood days. 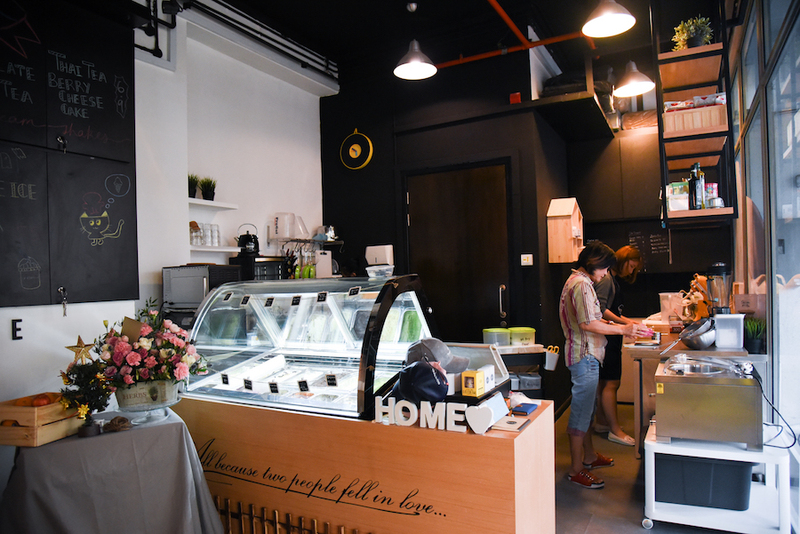 There are many ice cream cafes in Singapore, several specialising in providing local flavours from Chendol, Pulut Hitam to Durian. 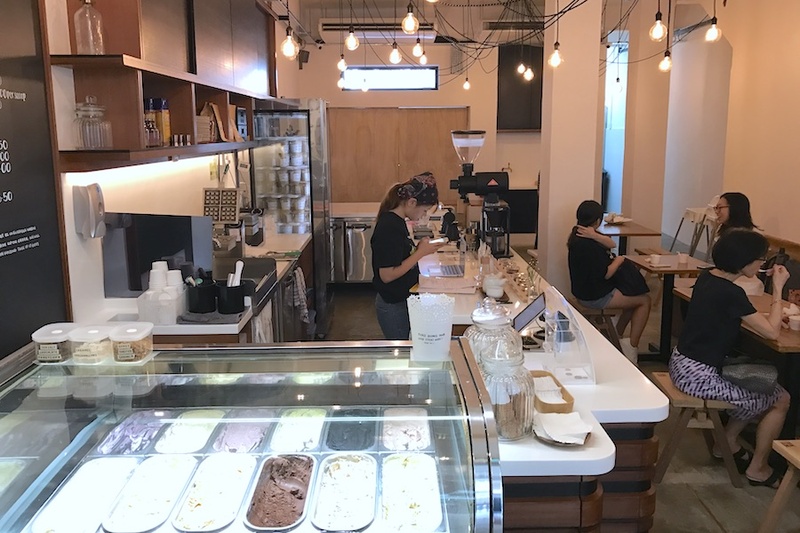 ‘Pioneer’ ice cream shops such as Udders, Island Creamery, The Daily Scoop, Tom’s Palette and Alfero Artisan Gelato were the ones who ‘paved’ the way for these newer ice cream cafes. 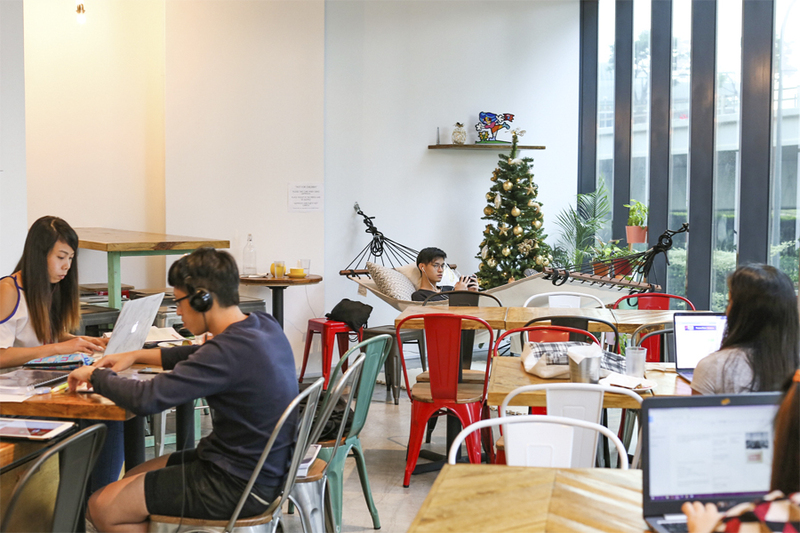 The small shop at Katong is now constantly filled with customers during the weekends. 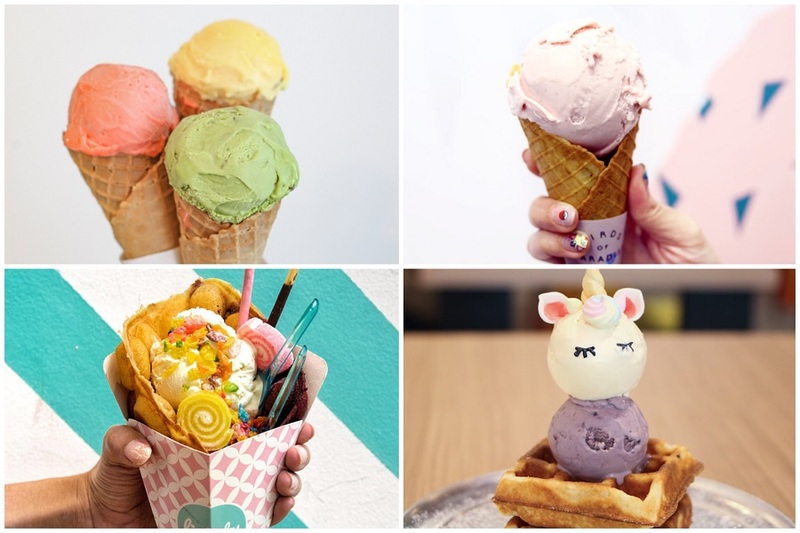 Unlike some gelato shops where colours of ice cream are almost-too-artificially vibrant, you would be greeted by pastel-coloured spectrum of flavours. I loved actually most of the flavours, which included Basil, Lychee Raspberry, Spiced Pear, Mint Cacao, Strawberry Basil, Pandan and White Chrysanthemum. Prices go at $4.70 for a single, $7.70 for double, and $16.00 for pint. My recommendation would be the floral flavoured White Chrysanthemum with bits of cacao nibs, and delicate Lychee Raspberry. Butterknife Folk may have started out being known for their cakes, but their gelato has gained quite a following. 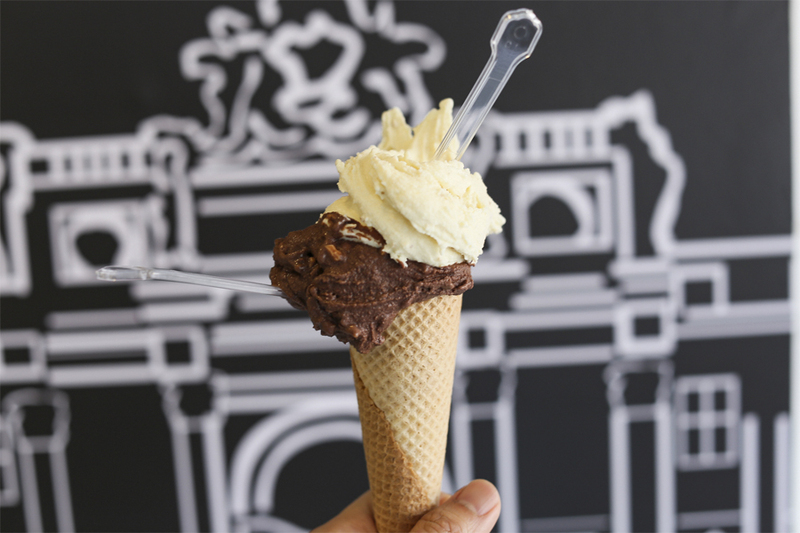 What is special is that their gelato and sorbets are handcrafted in small batches. When a tub runs out, you never know what flavour comes next. 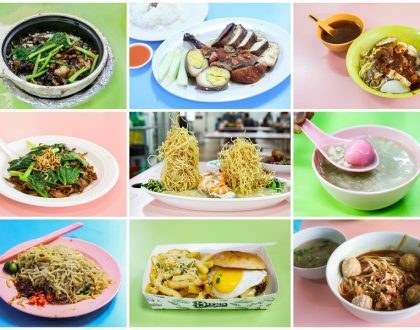 This is Creamier’s 3rd outlet, located within the Tiong Bahru estate at Yong Siak Street – known for the booming cafes scene in the early days. 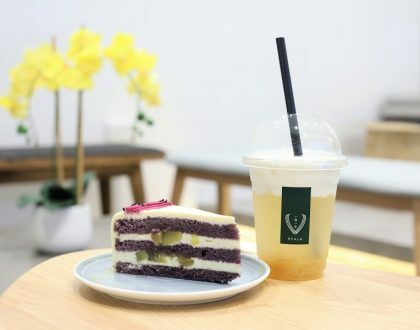 With a total of 12 flavours available (a smaller selection as compared to the other outlets), interesting ones I noted included Black Glutinous Rice aka Pulut Hitam and Black Charcoal Sesame, as well as the the bestsellers include Earl Grey Lavender and Sea Salt Gula Melaka. 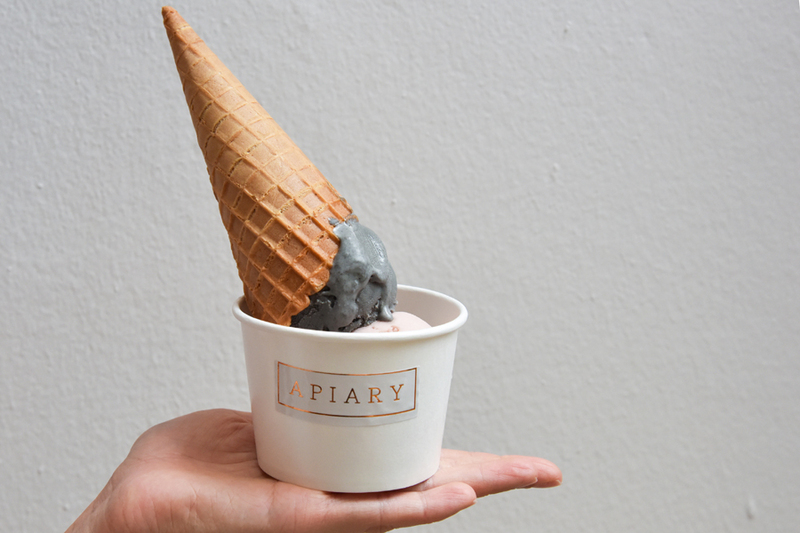 In terms of pricing, a single scoop of ice cream will cost $3.80 and double scoops at $6.60, while premium flavour will be charged at an additional $1. 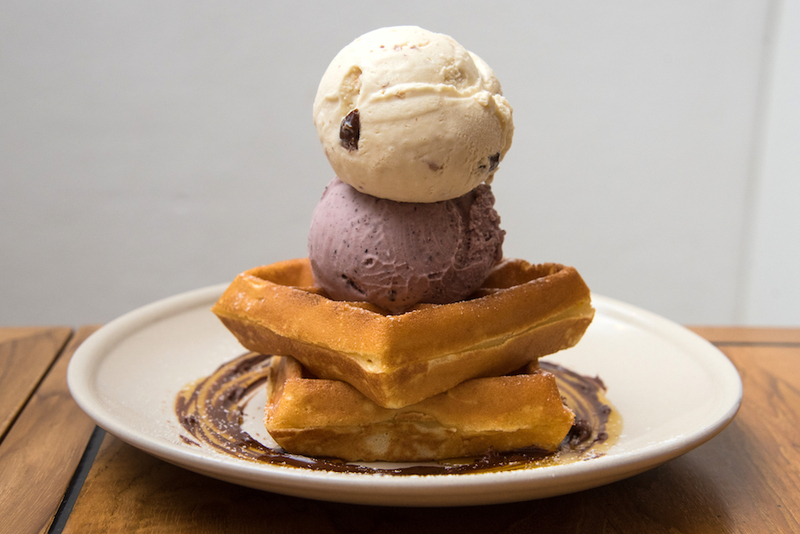 I had their signature double stacked thick waffles ($6 for waffles/ $3.30 for each scoop of ice cream with waffles) with Pulut Hitam and Rum & Raisin. 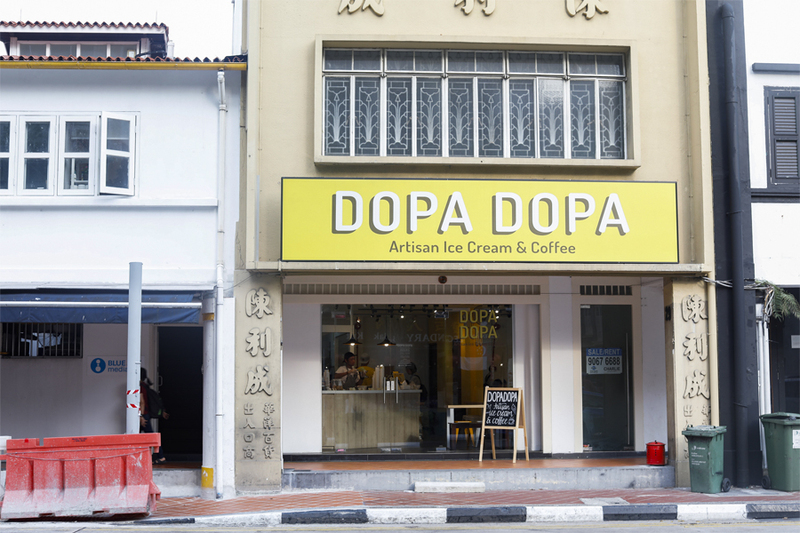 Dopa Dopa Creamery located at South Bridge Road has been earning generally positive reviews with its gelato churned from scratch, included with natural ingredients such as nuts, fruits and tea leaves. 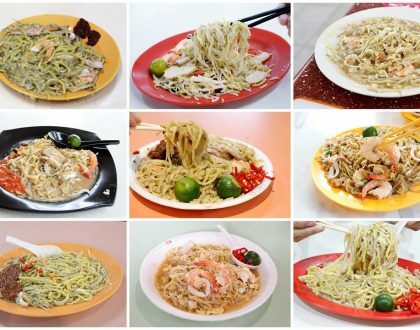 The small café has limited seating and only serves up 8 different flavours at any one time. 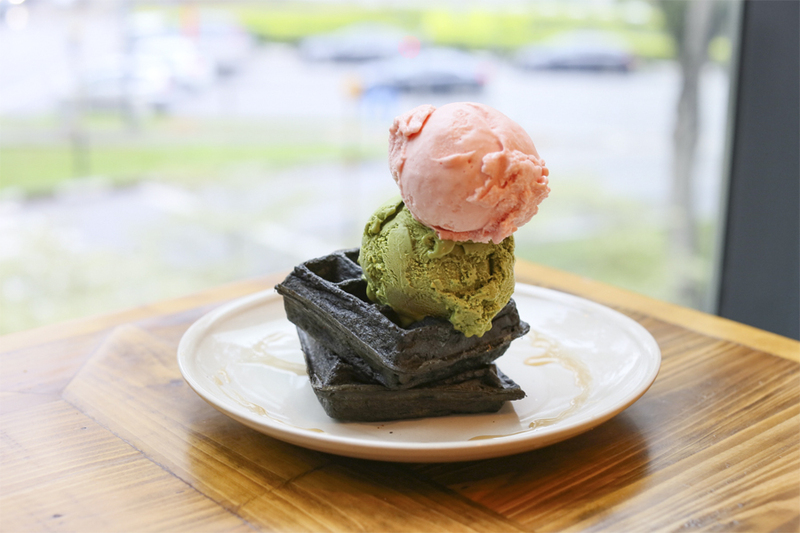 These include home roasted Pistachio, Hazelnut, Ferrero, Green Tea Toasted Rice, Hojicha, Speculoos with Lotus Biscuit, Watermelon Mint and Apple Ginger sorbet. 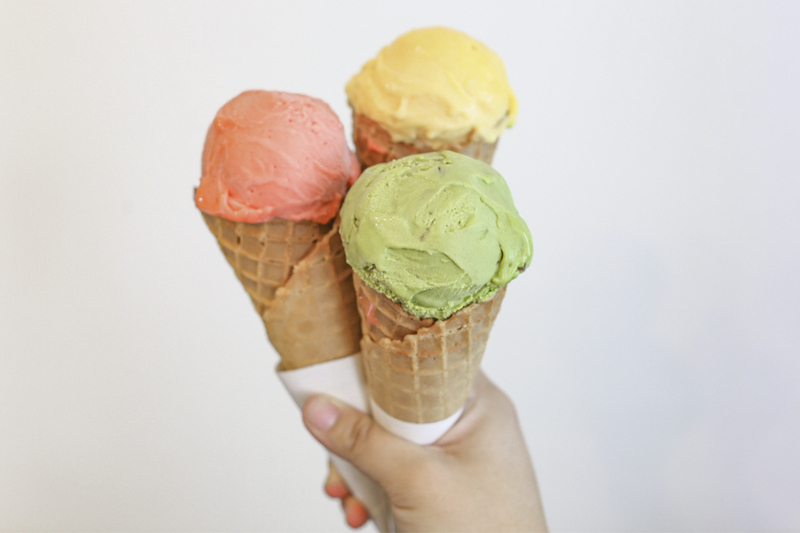 A single scoop goes for $3.90, while you can also opt for a double or triple ($7.50, $11). aROMA Gelato Experience specialises in freshly handmade gelato and coffee to go. 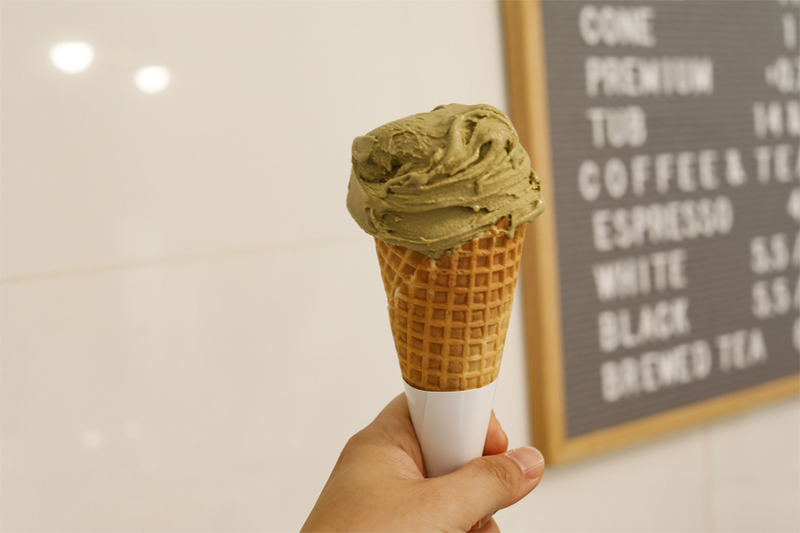 There are 4 different cup options – baby ($3.90), small ($5.90), medium ($7.90) and large ($10.90), with an additional 50 cents for premium flavours per scoop, and cone. The baby size feels expensive, and I would recommend the small piccolo size in which you can include 2 flavours. Offerings include Vanilla Madagascar, Peppermint with Chocolate, Chocolate, Pistachio Bronte, Coconut, Rum and Raisin, Chocolate with Hazelnuts, Hazelnut Piemonte, and sorbet flavours of Mango Alphonso and Strawberry with Mint. 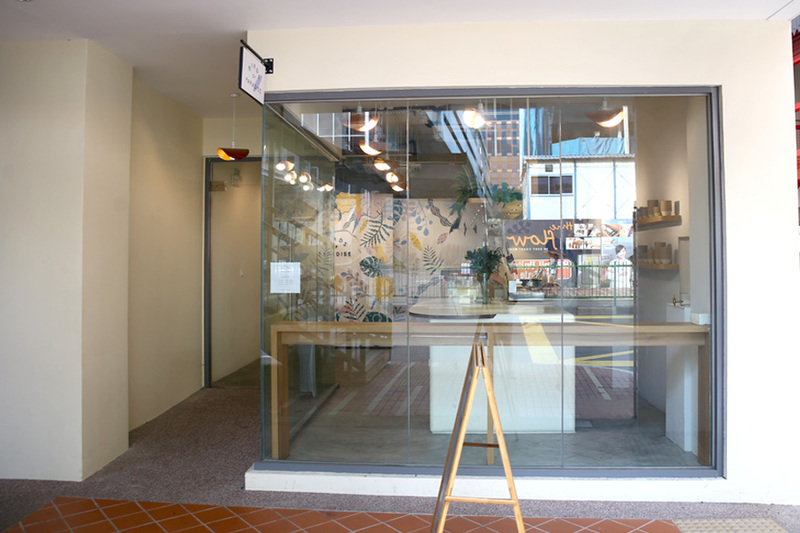 Apiary at Neil Road is Kinfolk-type interior with white walls, woody element and window ceilings with natural lighting for #OOTD shots. The menu is kept simple at the moment, with Ice Cream ($3.80 for single/ $7.20 for double/ $10 for triple), Waffles ($4.50 for plain/ $5.50 for charcoal), Tarts ($6), Coffee and Tea. 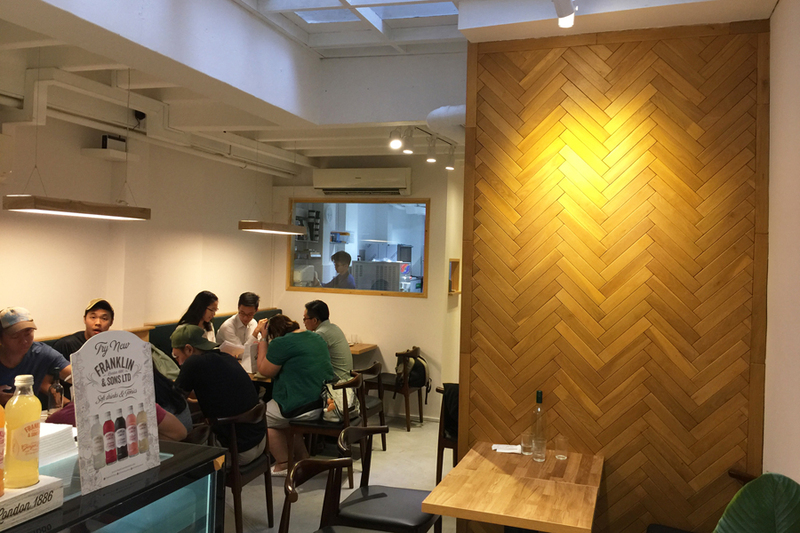 I saw interesting ice cream flavours such as Despicable – reminded us of “Minions” (Banana, Walnut and brownies), Hojicha (roasted matcha), Bergamot Sorbet (a citrus fruit) and White Peach Sorbet. 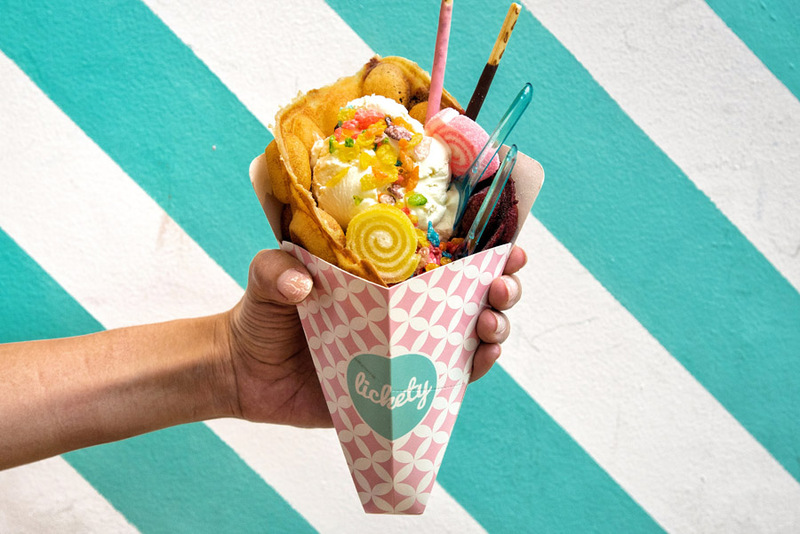 Located near ABC Market, Geometry has a total of 18 flavours to choose from, expect interesting flavours such as Earl Grey Tie Guan Yin, Mandarin Orange Sorbet and Watermelon Lychee Sorbet. 75% of the flavours were classified under “Premium” flavours at an additional $0.70 per scoop due to the fresh fruits added. The gelato was smooth and milky, though slightly on the sweeter side. 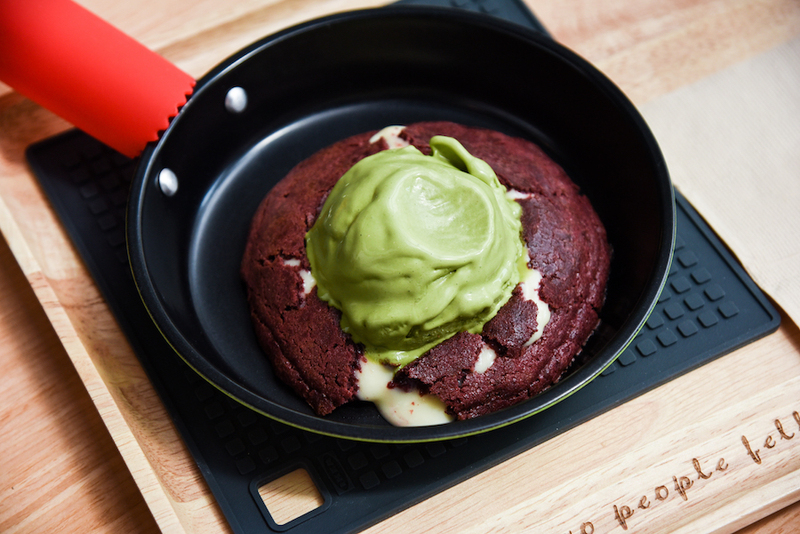 Using the same recipe from their main outlet in Bangkok, the menu comprises of Lava Cookies ($8.90): Choc-A-Lot, Matcha and Red Devil, Classic Brownie ($7.90), Gelato ($3.80 for single, $6.20 for double, $8.90 for triple scoops). 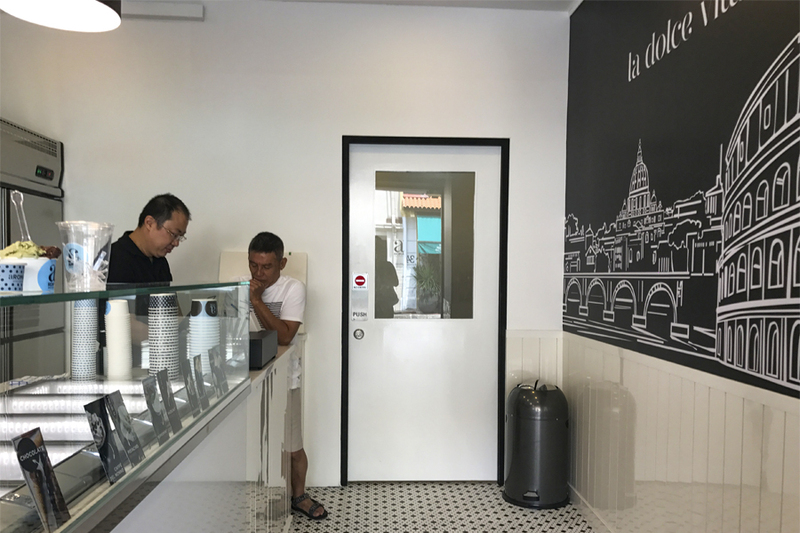 Their main differentiating factor from other ice cream cafes will be their Lava Cookies – think Lava Cake in cookie form. 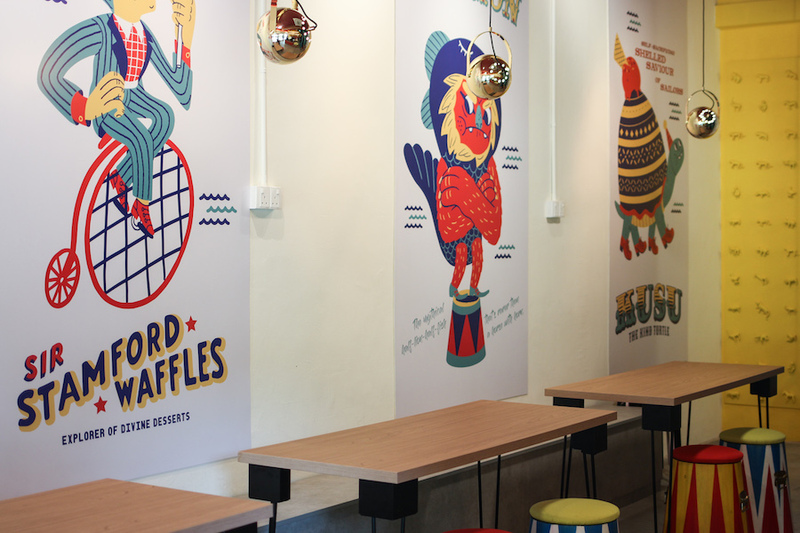 Kindred Folk is a cosy two storey cafe serving up handcrafted ice creams, other desserts and fusion pastas at King Albert Park. 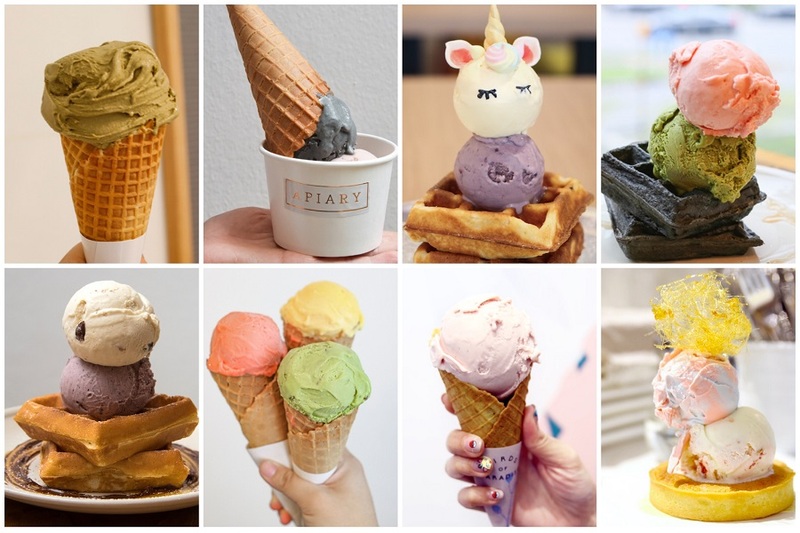 In terms of Ice Cream flavours, they included Roasted Rice Milk Tea, Watermelon-Calamansi Sorbet, Cereal Milk, Grapefruit Froyo, Matcha Gao, Sea Salt Gula Coconut, Latte, Pure Hazelnut, to a very interesting Wasabi. 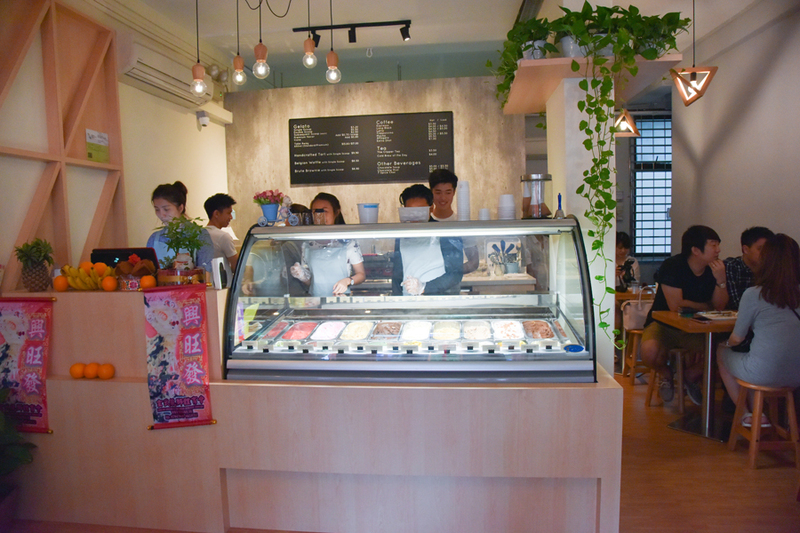 $3.70 per scoop for the basic flavours, and students and residents of KAP Residences get a 10% discount. I had the Watermelon-Calamansi and Matcha Gao. 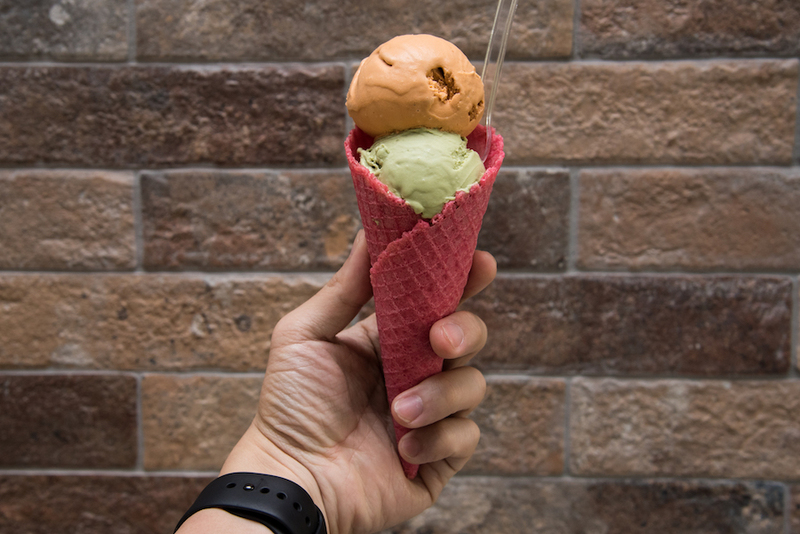 Located right opposite to NEX (exit F of Serangoon MRT station), along the stretch of shophouses, is an ice cream creamery opened by the Taiwanese. 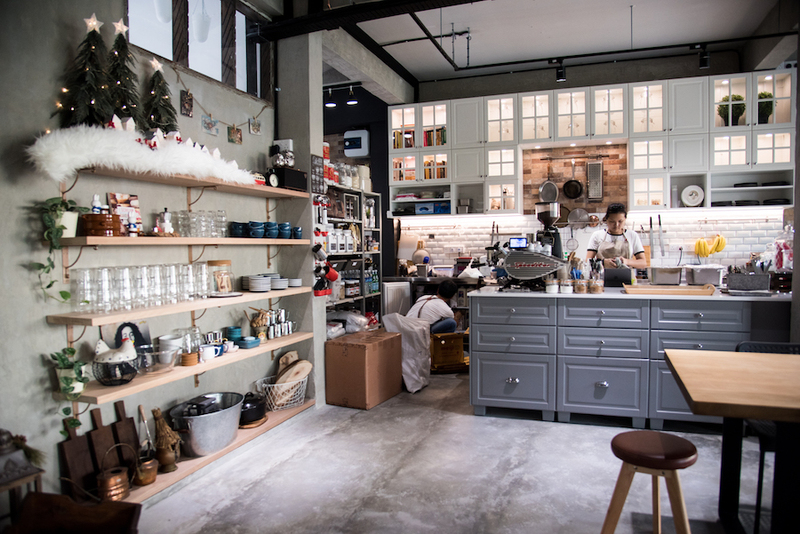 Tall ceiling, open-concept kitchen with a homely decoration (red-bricked wall, paintings, kitchen shelves) and staffs who speak in fluent Mandarin with an affectionate touch, which is their distinct characteristic. 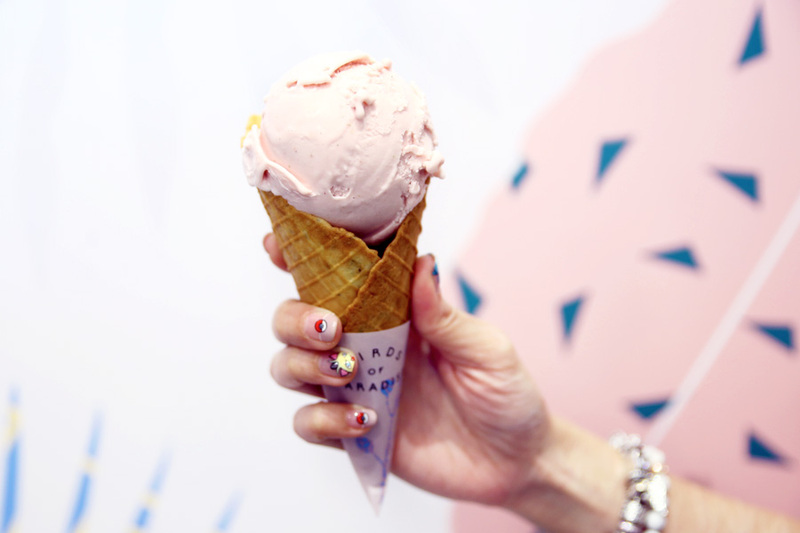 For the menu, ice cream is available in single ($3.50) and double ($6.50) scoops, with an additional $1 for premium flavours. 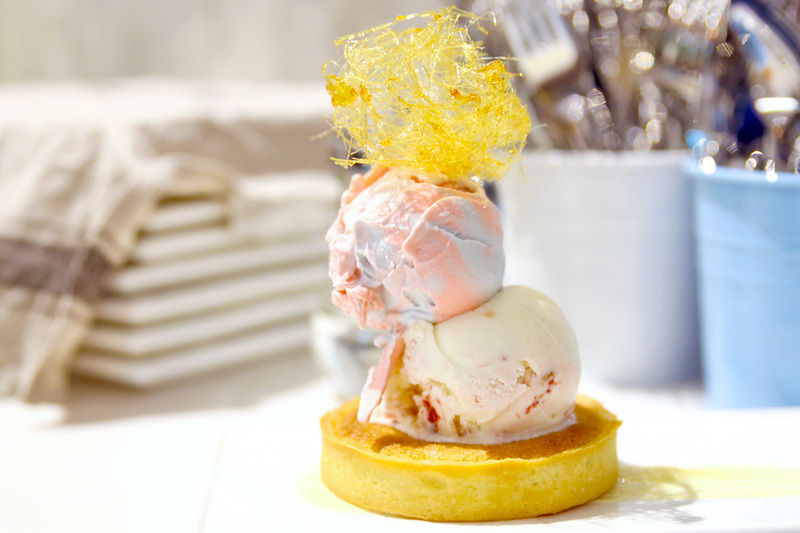 With a total of 18 flavours of ice cream available, interesting and uncommon flavours include Craft Beer IPA, Mont Blanc Chestnut, Extra Virgin Olive Oil & Blackcurrent and Fresh Pink Grapefruit sorbet. 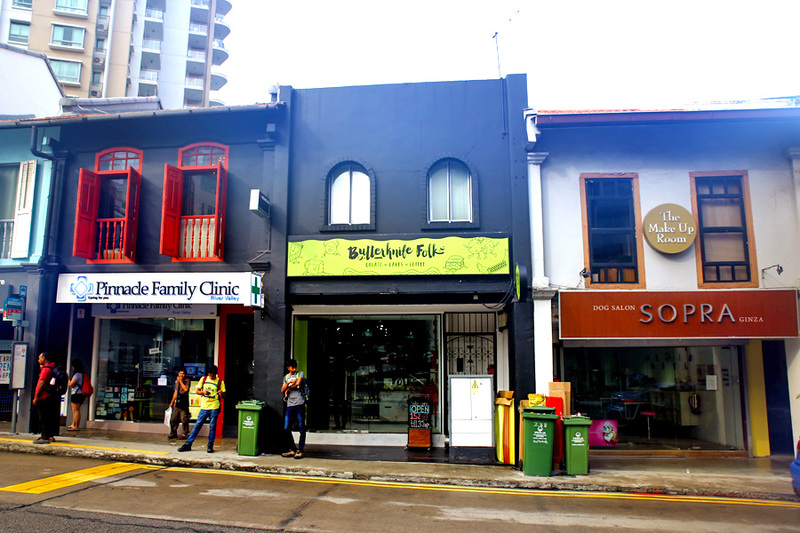 Located at Bussorah Street in the vicinity of Kampong Glam, the pastel-colored shop front stood out amidst the row of Turkish eateries, naturally attracting crowd to satisfy their sweet tooth or hide from the scorching hot weather. 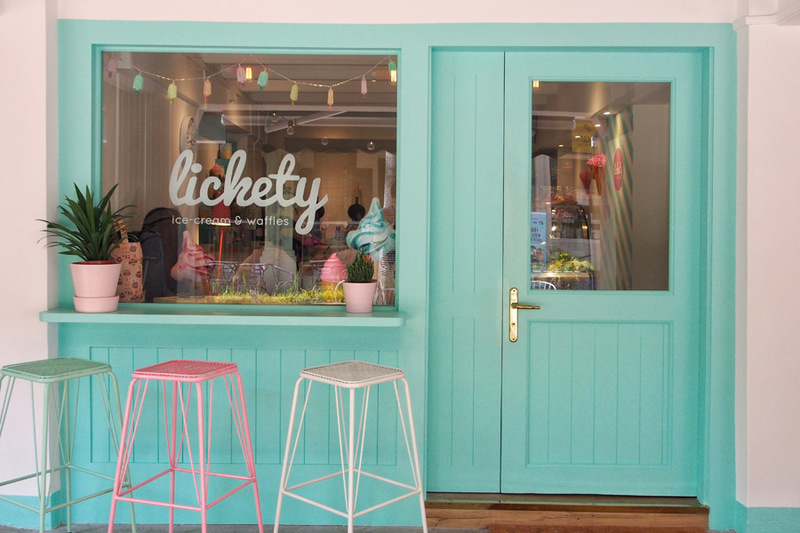 Lickety carries a wide assortment of ice cream flavour ranging from Earl Grey & Fig, Speculoos to more Asian flavors such as Taro Yam & Coconut and Mao Shan Wang Durian. 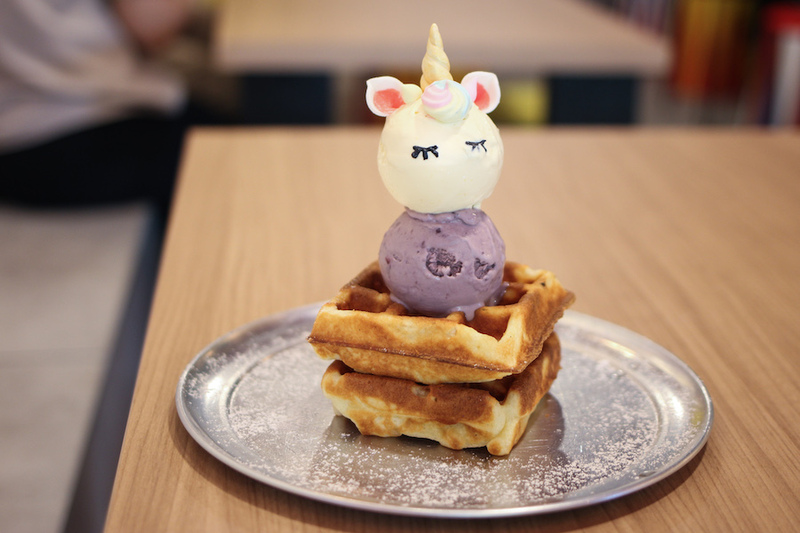 Single scoop ice cream is available from $4.50 onwards.